Generally speaking, everything is relative including suggesting that you’d like to build or have built The Ultimate Stack. But when you say you would like to build a tech stack that can handle ~15 Billion Ad requests per day at a rate of 400K transactions per second – it truly puts things into perspective. This is exactly what AppLovin did. AppLovin is a mobile marketing platform that helps brands acquire new customers and re-engage existing ones. Today it handles most of the mobile Ad inventory in the world. AppLovin did not start out with a stack capable of handling ~10 TB of data a day. What they did know was exactly when and how to evolve their stack to handle vast volumes of data for the future. Being mindful of future scaling requirements while keeping their bottom line manageable; meaning — infrastructure that scales but not by adding more hardware and/or human resources. Rather, as a result of carefully and diligently selecting and building technology components that are flexible, efficient and adaptable to rapidly growing business needs in an ever changing mobile world. We wanted to build pieces that would allow us to innovate no matter what the market needed. For example, if we needed to do retargeting, we want to build that on top of an infrastructure and not have to reinvent a whole infrastructure to do retargeting, and we were able to do that. In the initial stages, AppLovin was no different than any other startup. As a startup, you find and use tools that are easy and fast to get started with. Because, in the beginning, more often than not, it is all about putting something out there. The sooner that happens, the sooner you get feedback, learn and improve from it. Then, you iterate. Along the way you drop technologies and pick up new ones that best fit your needs. Important to note here is that at AppLovin, the decision to switch to a different technology is made with high expectations. If you’re going to do that [switch], make sure you’re getting a serious improvement, a 10X improvement. Don’t just replace a system that’s twice as good as the old system. Referral – Who else is using it and Why. Is it proven and accepted in the industry? Developer Momentum – Especially when evaluating Open Source technologies. Technology Fit – How well will it play and integrate with existing technologies? Failover – How (gracefully) does it handle failures? Platform Risk – Will the technology be around and stay on track with your growing and changing business needs of tomorrow? Considering the terabytes of data AppLovin stores and processes every day, in 7 data centers across the world, one of the key technology components AppLovin has to absolutely focus on and be on top of at all times is the database. The key considerations that go into this decision making are: Availability, Performance, Scalability, Fault tolerance, Replication, and Memory Footprint. 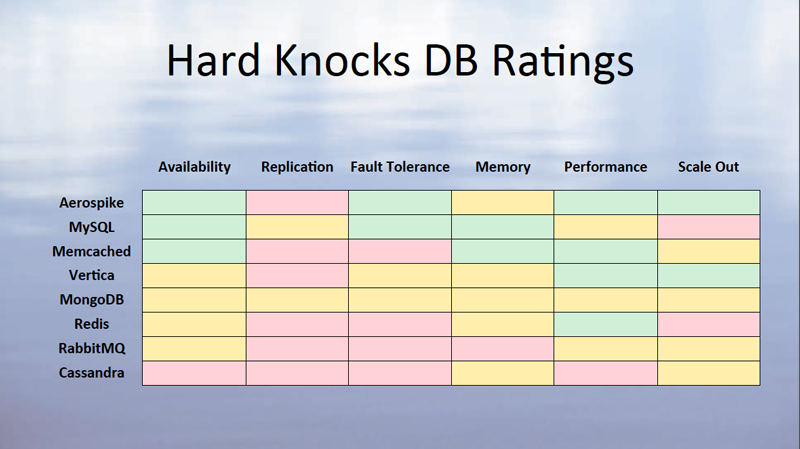 While keeping these factors in mind and after putting almost every database through rigorous testing, the list of databases in production today has shortened. 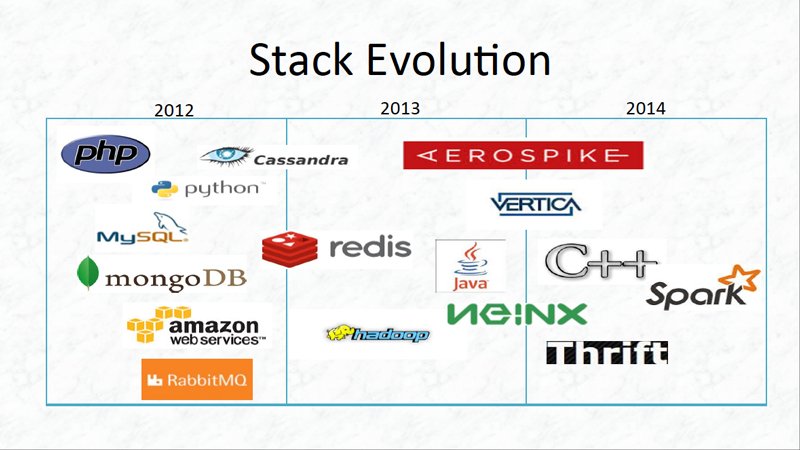 Aerospike is one of them and is being pushed harder and used more than ever before. Our goal was to be able to put a billion users into place and access any one of their records in, you know, a millisecond or 2 milliseconds – originally, it was 20 milliseconds – but Aerospike came [along] and we can do this today. So that’s one of the Aerospike stories. 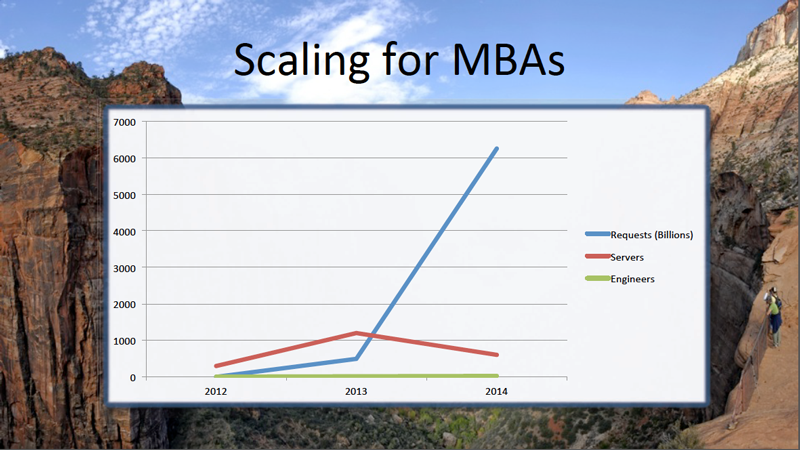 Watch Applovin CTO John Krystynak talk about Scaling for MBAs. AppLovin’s rapid growth in the mobile ad market, and secret to generating $200 million in annual revenue, was recognized in this Business Insider article by Eugene Kim. Instead of being short-sighted and thinking about just scaling up by adding more hardware and human resources in an unpredictable, dynamic, and rapidly growing mobile Ad market, AppLovin chose the path of building their ultimate stack — one that comprises of carefully selected technology gems that meet AppLovin’s demands of today and are capable of adapting to the needs of tomorrow.